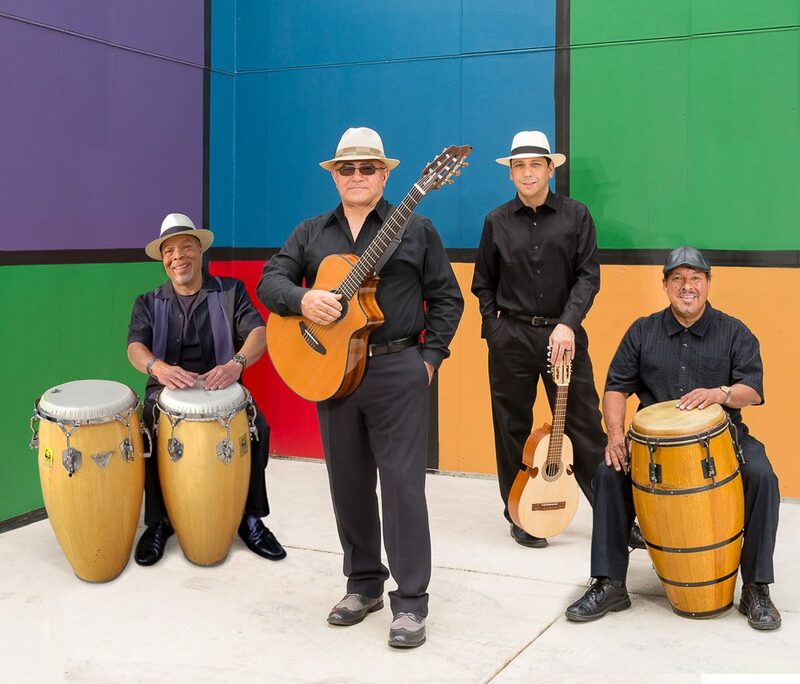 Passionate and prolific musicians with over two decades performing in the Northwest, Neftalí Rivera & Grupo Borikuas will take the stage at the Walters Cultural Arts Center (527 E. Main St., Hillsboro) on Friday, April 19, at 7:30 p.m. Borikuas members Ramón Cancel, Victor Pizarro, Martín Velez, and Neftalí Rivera capture the essence of Puerto Rican, Cuban, and Afro-Caribbean rhythms. Bright and charismatic performers, they bring their passion for their heritage, music, and culture to the stage. Tickets for this performance are $12 advance or $16 the day of show. Many of Rivera’s songs are dedicated to the island of Puerto Rico, and tell of the island’s beauty, culture, and people. Rivera’s own family have also provided inspiration, as he draws upon daily life experiences shared with his wife and children. Grupo Borikuas’ music conveys a rich poetic lineage, moving fluidly between love, loss, and joy, and covering an impressive repertoire that includes genres from a variety of Latin American cultures. The concert at the Walters “will include a compilation of the most popular songs from Puerto Rico and Cuba that people have requested thought the years,” said Rivera. A Northwest treasure, they are sure to fill your heart and move your feet. Previous PostPrevious What is Cultural Appropriation?